There’s plenty of good news with this new generation. 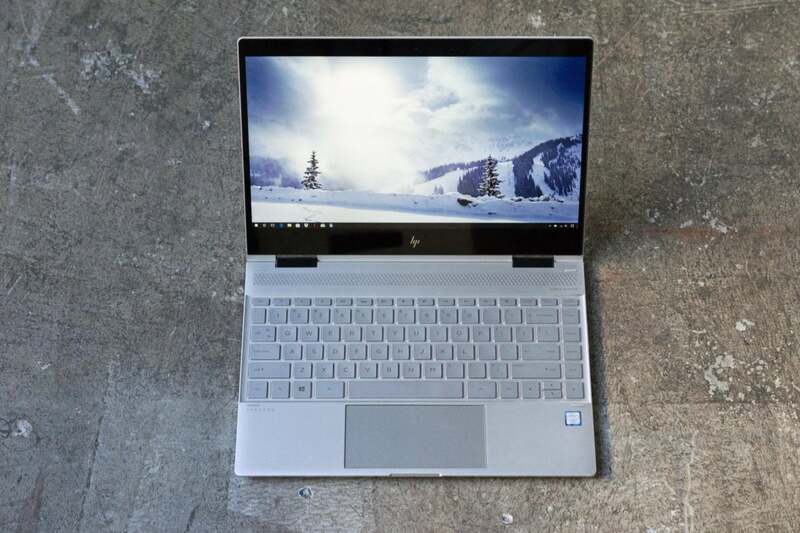 Our favorite convertible laptop, HP’s Spectre x360 13, sports a quad-core 8th-gen chip while maintaining its diminutive size. It’s really the total package. But let’s be honest: You probably don’t need a quad-core powerhouse, especially if the hottest application you run is Microsoft Excel. Check out our budget favorites, like the Acer Aspire E 15 and Asus ZenBook Flip, whose dual-core CPUs do just fine with mainstream fare. Or read about the Asus Chromebook Flip, a well-priced and versatile laptop for living on the web—or delving into the wide, wide world of Android apps. We got our hands on the Asus ROG Zephyrus S GX531, a surprisingly slender gaming laptop that’s the shape of things to come. This is a good trend for gamers tired of lugging around the bulkier laptops still predominant. Looks like ARM is getting serious about putting its chips into PCs. It usually lets clients like Qualcomm take center stage, but the company has made public its roadmap through 2020, introducing two chips, Deimos and Hercules, designed to face down Intel. Good luck with that. Intel’s Core i9 CPU, which debuted in gaming beasts like the Alienware 17 R5, is popping up in superslim laptops designed for serious work. At the SIGGRAPH show, Lenovo’s ThinkPad P1 was one of several workstations announced offering Intel’s Core i9 as a CPU option. Photographers, videographers, designers, and other graphics-intensive PC users are exactly the people who should buy a Core i9 laptop. We also updated our recommendation for Best MacBook based on recent configuration upgrades to the 13-inch MacBook Pro. Oh, what about the new MacBook Pro 15-inch? We liked it, but…read all about the performance throttling saga in Macworld’s review. 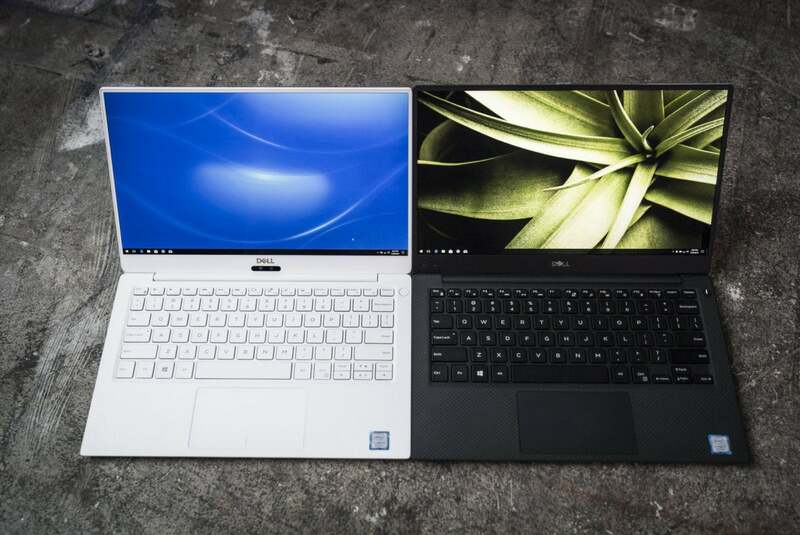 Dell made a bold statement when it claimed its completely redesigned New XPS 13 would be among the fastest laptops in its class, if not the fastest. But Dell ain’t just trash-talking. 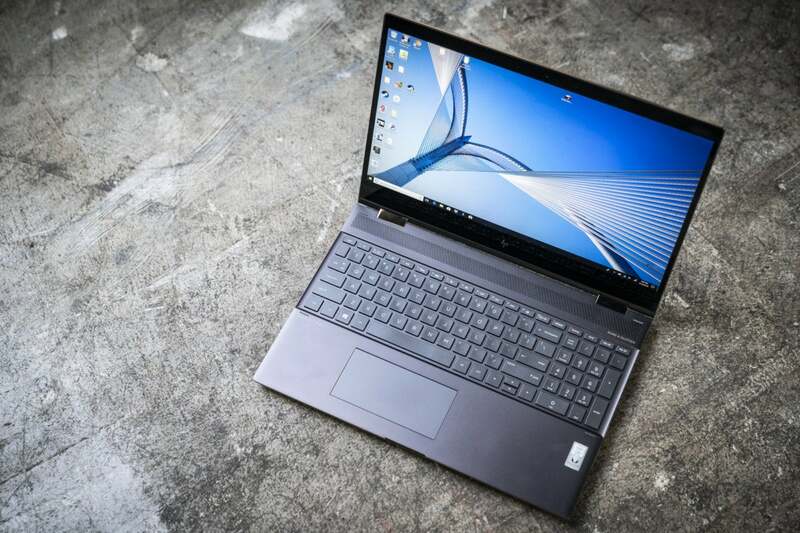 Thanks to a new cooling system, the XPS 13 with an 8th-gen Core i5 is as fast, if not faster than, most 8th-gen Core i7 laptops, and many larger, beefier laptops, too. But that’s not all. The mid-range model we tested boasts an improved display and keyboard, and satisfyingly long battery life of about 12.5 hours. All these goodies can’t quite help us forget the disappearance of USB-A ports—that’s right, it’s USB-C all the way. We don’t like it, but we’d all better get used to it. Razer’s latest Blade Stealth refresh is still one of the sleekest ultrabooks we’ve ever used, though its high price and middle-of-the-pack performance are starting to hold it back. Make no mistake: There’s a lot to like about the Razer Blade Stealth. It’s just as beautiful as its predecessors, and Razer’s upgraded the parts to the latest and mostly greatest: a quad-core Intel i7-8550U processor clocked at 1.8GHz (with 4GHz Turbo), Intel’s internal UHD Graphics 620, 16GB of 2,133MHz DDR3 RAM, and a tiny ol’ 256GB m.2 SSD. It also sports a 13.3-inch screen where there was a 12.5-inch one before, though the chassis size is basically the same. It’s not perfect, though. 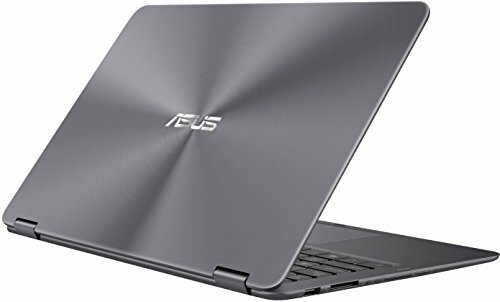 Its performance, while very competent overall, clearly lagged in places due to thermal throttling (a common solution to managing the heat in slender laptops). The battery still doesn’t last quite as long as the competition’s. And a new feature we’d normally welcome, USB-C charging, has an alarmingly delicate-seeming port and plug. But the real kicker is the price ($1,500 via Amazon). 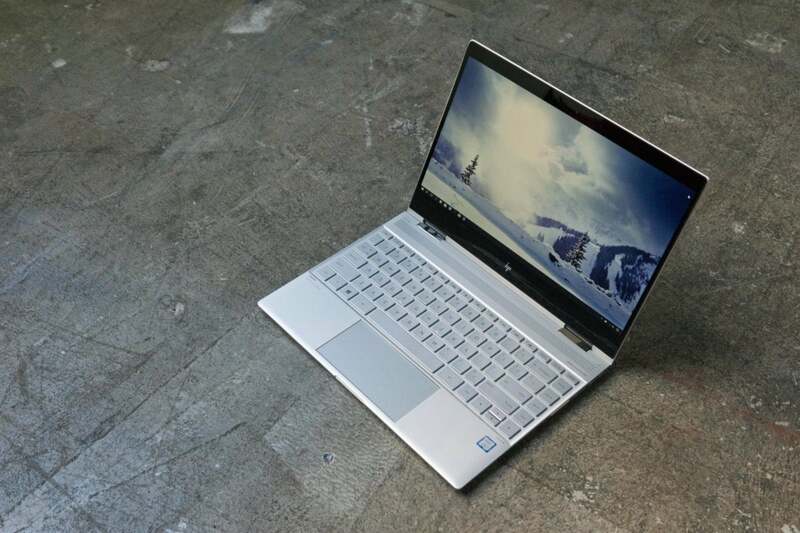 Spec for spec, competing ultrabooks give you more for the money. 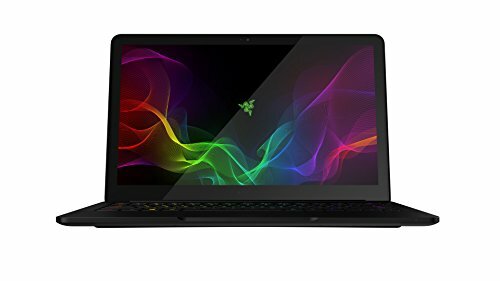 Razer has charisma to spare, and fans may be willing to shell out for that; but anyone less faithful will probably think twice. Acer’s Aspire E line has been popular for years, and you can see why when you look at the bang-for-buck. For the E 15 model we reviewed last year, Acer packed in a Core i3 processor, a 1TB storage drive, and a 15.6-inch display with a resolution of 1920×1080 for just $350. Its tapered shell and handsome brushed finish even made it look sleeker and lighter than it really was. The Aspire E 15 delivered where it counted, too. The 7th-gen Intel Core i3 CPU and integrated graphics delivered solid performance. 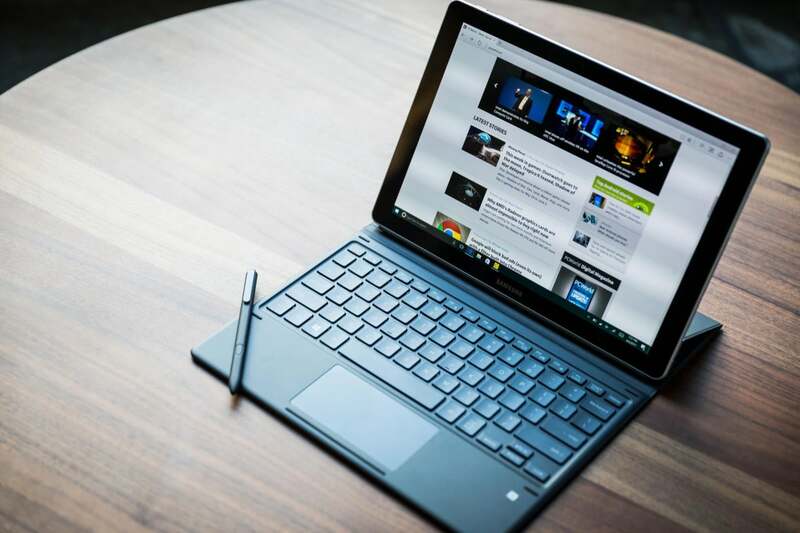 It offered a generous selection of ports, impressive battery life, and a comfortable backlit keyboard. Best of all, the SSD and RAM were upgradable. 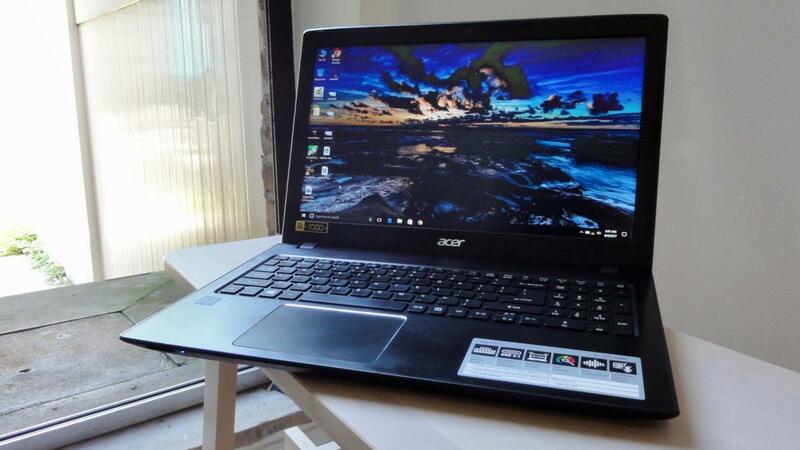 Acer’s phasing out the model we tested, and a newer model is available on Amazon. It costs a little but more, but it sports a few upgrades. Foremost is an 8th-gen Intel Core i3-8130 CPU, which is an entry-level dual-core chip, competent for mainstream use. You also get 6GB of RAM, a 1TB HDD, and an 8X DVD drive. We haven’t reviewed this laptop yet, but we’ll update you if we do. Samsung’s Galaxy Book two-in-one provides a surprisingly potent combination of price, performance, and battery life, all wrapped up behind an excellent Samsung AMOLED display with HDR. 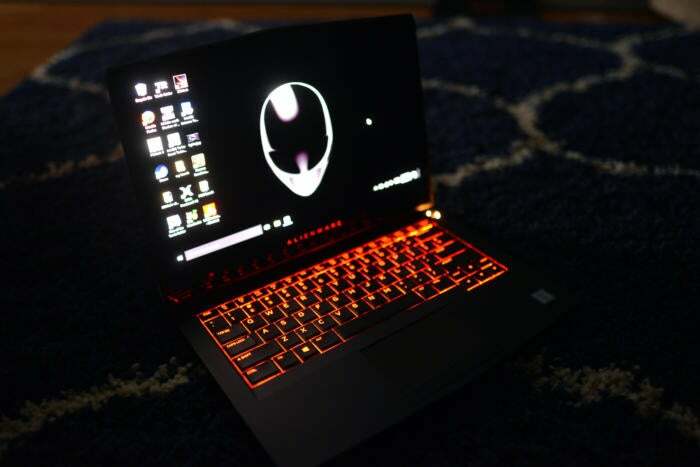 The Alienware 17 R5 is a slickly designed gaming laptop that leverages Intel’s first Core i9 mobile chip and an overclocked GeForce GTX 1080 to deliver desktop-class power. It’s heavy and expensive though. 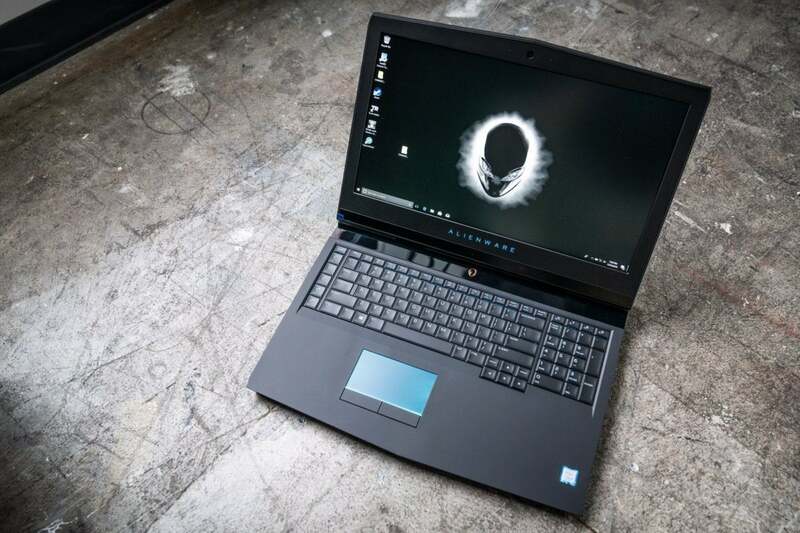 The Alienware 17 R5 is the latest in a long line of well-regarded laptops from this Dell subsidiary, but this one raises the bar. Actually, it throws the bar high up in the air, leaps after it, catches it mid-somersault, and lands cleanly while onlookers stare, agog. The key difference: an upgrade to Intel’s 8th-gen mobile processors, which pack more CPU cores than previous generations did. Even better, the one in our review unit is Intel’s high-performance Core i9 -8950HK, which turns this already beastly gaming laptop into an utter monster. The Alienware 17 R5 is available in a variety of configurations, from a $1,560 model with a 6-core Core i7-8750H, an overclocked GeForce GTX 1060, and a 60Hz 1080p display, all the way up to the price-is-no-object-I-want-performance version we tested ($3,810 from Dell). Optional features could push that total even higher, but there’s already plenty to love. This is 10 pounds of gaming-laptop-slash-desktop-replacement-extraordinaire. 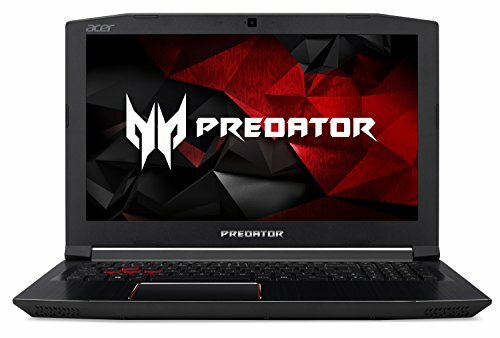 Acer’s Predator Helios 300 may not sound like a budget machine with its $1,100 price on Amazon, but take a closer look and you’ll see it’s a straightforward, no-nonsense gaming laptop that delivers a refreshing amount of bang for your buck, starting with a Core i7-7700HQ processor and a GeForce GTX 1060 graphics card. But hey, we know some budgets are decidedly more modest. Stay tuned: We have reviews coming up of Dell’s G Series gaming laptops, which start at $670 on Dell. We also have Acer’s Nitro 5 affordable gaming machine in for review, and that starts at $720 on Best Buy. Just a few years ago a gaming laptop meant a laptop as big as a house and heavier than an engine block. Today’s gaming laptops are truly portable power houses. 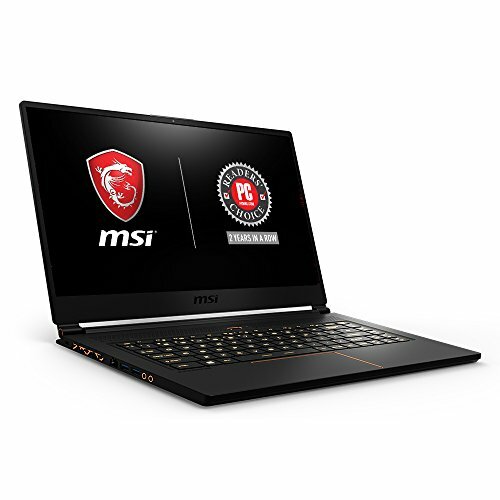 Take for example, our best pick for portable laptop: The MSI GS65 Stealth Thin. This laptop packs an 8th-generation Core i7-8750H with six cores and a full-power GeForce GTX 1060. MSI also ups the battery capacity to 85 watt hours to decent effect. What’s amazing though is the weight. Our postage scale pegs the MSI GS65 at just over 4 pounds. For a six-core, GTX 1060 laptop with decent battery life, that’s just impressive as hell. 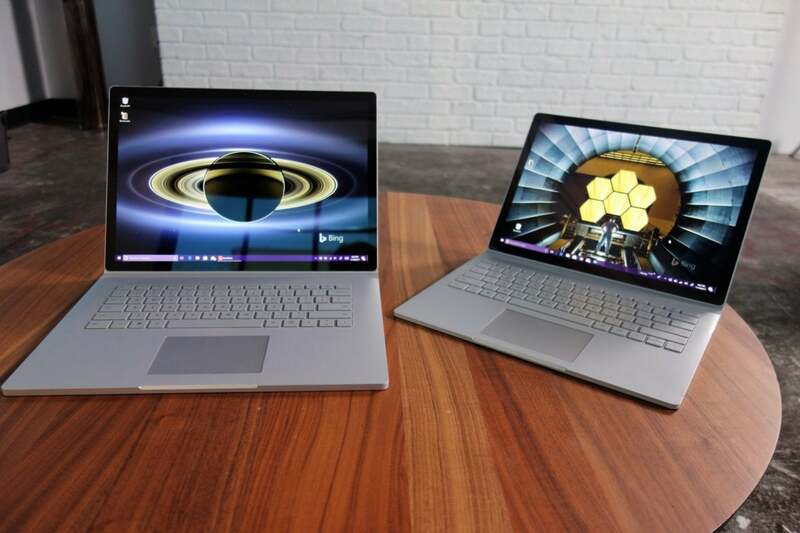 When you compare it to the 4.5-pound convertible HP Spectre x360 15 above, well, we’d say it’s a real dilemma. If we needed a touchscreen and pen support, we’d go with the HP. 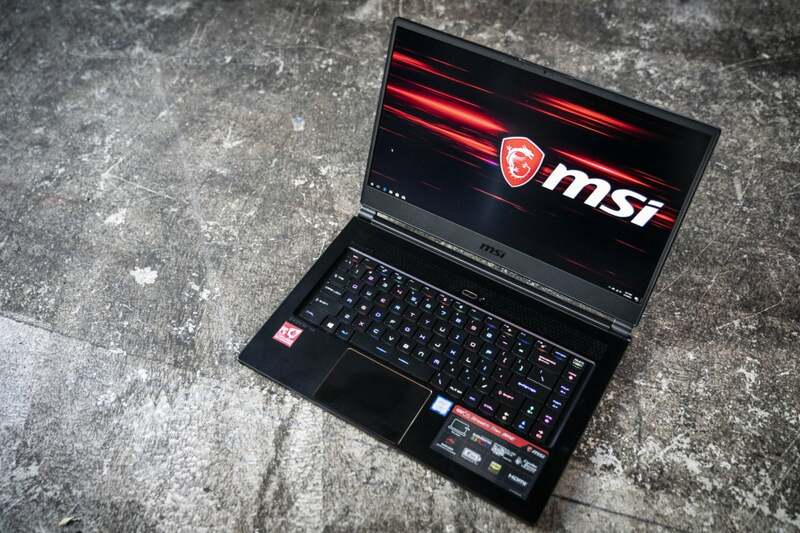 But If our mission requires CPU and GPU power, or we’re all about gaming, we’d definitely go with the GS65. This 5-pound laptop is one sweet little machine, even if it’s a bit heavy for its size. If you can deal with that weight, you get an extremely well-rounded machine that excels in every way possible. Google’s own Pixelbook sets the standard for all Chromebooks, and then some. The successor to the flagship Chromebook Pixel is pretty, for sure, with its glass panels and gorgeous screen. It also flips around 360 degrees to function as a tablet, and it offers pen support with apps that nurture artistry as well as plain, old note-taking. Battery life is fantastic at a projected 11.67 hours. Now that Chromebooks support Android apps, the Pixelbook is the ultimate expression of what you can do with this platform. And the most expensive. 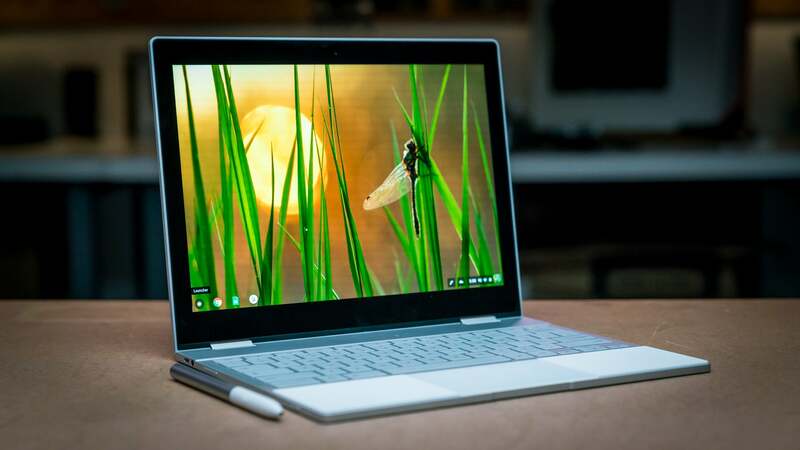 So check out our favorite budget Chromebook below for a similar, far more affordable alternative. 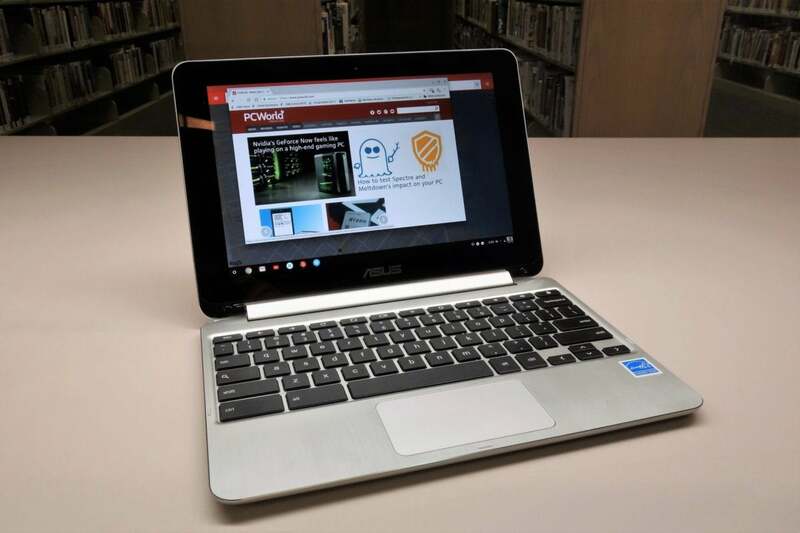 Most Chromebooks are budget models, but the Asus Chromebook Flip(C101PA-DB2) has an extra talent: It can rotate backward into a 10.1-inch tablet. Now that Chromebooks can run Android apps, too, the Flip is a versatile as well as affordable machine. The Chromebook Flip is powered by the new OP1, a no-name processor made by Rockhip with help from Google that will handle everything you throw at it just fine. Just note that the Flip is a bit small for day-long productivity with adult-size fingers, though fine for the hands of children. 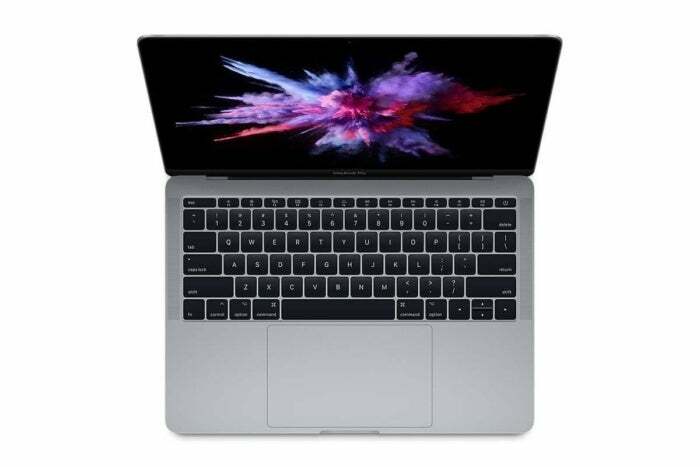 This particular model offers a 7th-generation 2.3GHz Intel Core i5 processor, 8GB of memory, 256GB of flash storage, Iris 540 integrated graphics, a 2560×1600 screen, and two Thunderbolt 3 ports. If you want Apple’s new Touch Bar as a feature, you’ll need to upgrade to the $1,799 model. 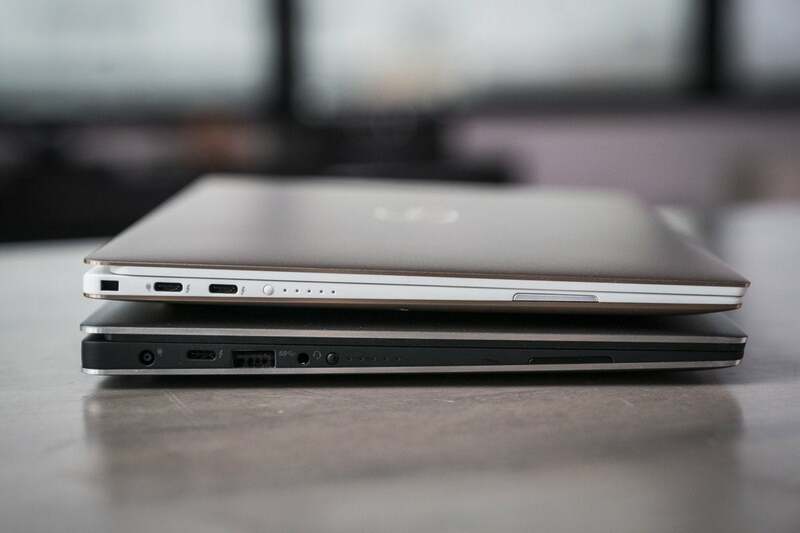 The $1,799 model also offers a faster 8th-generation 2.3GHz quad-core Core i5 processor, a Touch ID biometric sensor, and two additional Thunderbolt 3 ports. Note: The $1,799 model replaces a dual-core model with one sporting a quad-core CPU. The new model probably offers a boost in performance with multi-core apps, but we haven’t gotten one in to test. 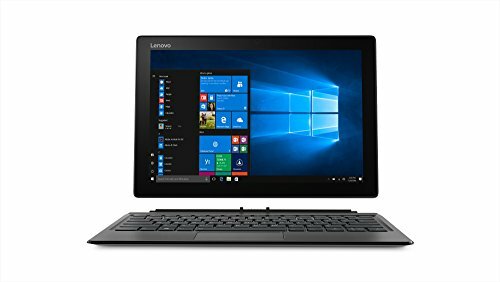 That being said, there’s probably still a good bang/buck value with the $1,499 laptop.